Skill Set Information: This is a single sword style utilized by Ted Bundy. The main focus of the skill set is to tap into the energy pools of various daemons as a means to give the user that extra push to outmatch their opponents. The users body in a sense becomes a portal allowing the daemons presence and energy to traverse between it's own realm and the physical world. How much of the daemon(s) energy is let through the body is controlled of course. As the user utilizes the energy of daemons there is a variety of outcomes. The usual outcome is some sort of manifestation, or so an aura that is a partial or full representation of the daemon whose energy is being used. The manifestation often is not powerful enough to present an effect on the physical world and is simply visual. Along with that of course is the user themselves harnessing the energy to push their body past its regular limits (so daemons are capable of manifestation as well as giving stat boosts). Partially Destroyed - Wood, Stone, and similar materials. Cutting things that are usually harder than the sword itself, such as certain types of stone or even steel. The substance usually splits apart a few moments after being cut. Cutting objects that are thicker than the length of the sword, such as buildings or ships. 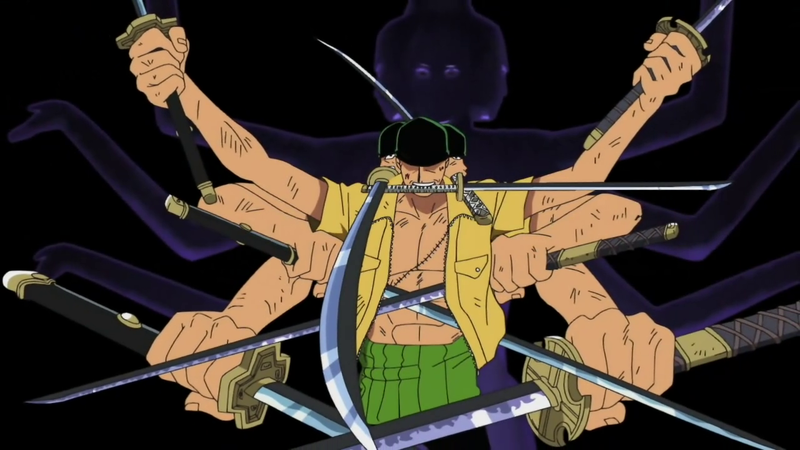 Imbuing the swords with Busoshoku Haki to increase slicing power, as well as protect the blade from chipping. Transferring the force of a cut over a distance by swinging the sword at high speed, creating a "vacuum blade" of compressed air; or by simply creating strong winds with sword blows. This is known as a Flying Slash Attack (飛ぶ斬撃 Tobu Zangeki?). The color of these attacks varies between users such as blue, green, purple etc. Channeling elemental power into sword slashes, such as fire or electricity. Description: The user steps forward using the momentum of forward movement simultaneously with the movement of a horizontal slash to deliver a quick and powerful slice. Can be used along with the draw of the sword from its scabbard. Can cut through flesh, muscle and partially through bone. Description: The user steps forward using the momentum of forward movement simultaneously with the movement of a stabbing movement to deliver a quick and powerful jab. Can cut through flesh and muscle but not bone. Description: The user steps forward using the momentum of forward movement simultaneously with the movement of a upward/downward slash to deliver a quick and powerful vertical slice. Can cut through flesh, muscle and partially through bone. Description: The user calls forth upon the power of Vual a daemon capable of shape shifting between a grotesque monster and a human. A green aura then begins to envelop around the users arms and weapon. The aura then manifests into two claws which proceed to claw at the target in an x pattern. This is simply what occurs on top of the actual attack which in reality is the users blade moving incredibly quickly giving the illusion that the daemon's manifestation did it. What it really is comprised of is two two-handed vertical slashes aided by the daemons energy giving the user that boost allowing the slashes to occur at maximum speed with a +.5 speed boost. One slash is an upward vertical slice and the other is downward, the sequencing of which occurs first (upward or downward) is interchangeable. The blade is aimed to cut at the axillary artery down to the femoral artery which gives it this x pattern. This ability is capable of cutting through flesh, muscle and partially through bone. Description: The user calls forth upon the daemon Furcas, a man carrying a pitchfork who rides a horse. A green aura then begins to envelop around the users arms and weapon. It then manifests into a three pronged pitchfork which seemingly stabs the target. What actually happens is that the users weapon moves so quickly that it gives the illusion that the manifestation stabbed the target. In reality is it the daemons energy allowing the user to move his weapon at maximum speed with a .+5 speed boost. The movement is comprised of three one-handed jabs of the blade, the first at the top of the crotch, then directly below the sternum and lastly at the throat. This ability is capable of cutting through flesh, muscle and partially through bone. Description: The user calls forth upon the daemon Zagan, a griffin bull hybrid. A green aura then begins to envelop around the users arms and weapon. The aura then manifests into a bulls head and smashes into the target. What actually happens is that the user hit the target with the pommel of his blade giving the illusion that the manifestation slammed into the target. The daemons energy allows the user to strike at maximum speed with an additional .+5 speed boost. The pommel strike is capable of causing small fractures. 1. Your skills material destruction don't make sense. You can cut through stone, but not through human bone? Your material destruction chart should reflect what your skills can do. 2.So I gotta ask about the demons. Is it flavor text instead of simply saying he slashes someone twice super fast? Or is it like zoro's technique where he seemed to multply himself by three? Like where he's moving his blade, but it seems to be multplying? At first I got the impression the x formation would happen simultaneously in the blink of an eye. But since it says followed by, I'm not so sure. Are all your skills going to be drawing these demons for stat boosts or are you manifesting a demon for a split second? I fleshed out the confusion between manifestation and stat boosts (i tried) as well as concepts in the skill set. I also edited the material destruction thing, as I guess stone=bone? t1 can now partially cut through bone as can t1 destruction list can partially go through stone and things, t2 skills are speed based so the trade off between power and what the material destruction list says is why they can only partially go through bone when the destruction chart says otherwise. Hmm, on the material damage thing. If no one has issues with stone = bone, I'm fine with that then. Looks a lot better though. 1. How does mental illness work in the set? I might need ya to take that out of the description as it could be described as flavor text. 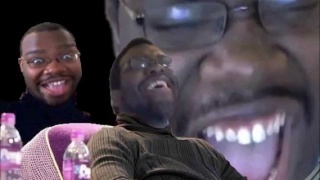 However if there's something that happens to him during the course of the fight besides stamina loss, when does it occur? When he's tired? When he invokes stronger skills? 2.Secondly, skill set strength and weaknesses. need em. got rid of the mental stuffs and added strengths and weakness. Those are largely either a given. When the site wants strengths and weaknesses, they're talking about stuff that's tangible to the site's systems. Like you can augment your stats with your skill set, turn that into a strength. You had an okay weakness before, mental illnesses. How would that have affected your character?If you don't want mental illnesses, then what else could be a weakness? (this one is the tricky one) besides things that are a given, like needing a sword. if they get a pass I don't see why I don't.